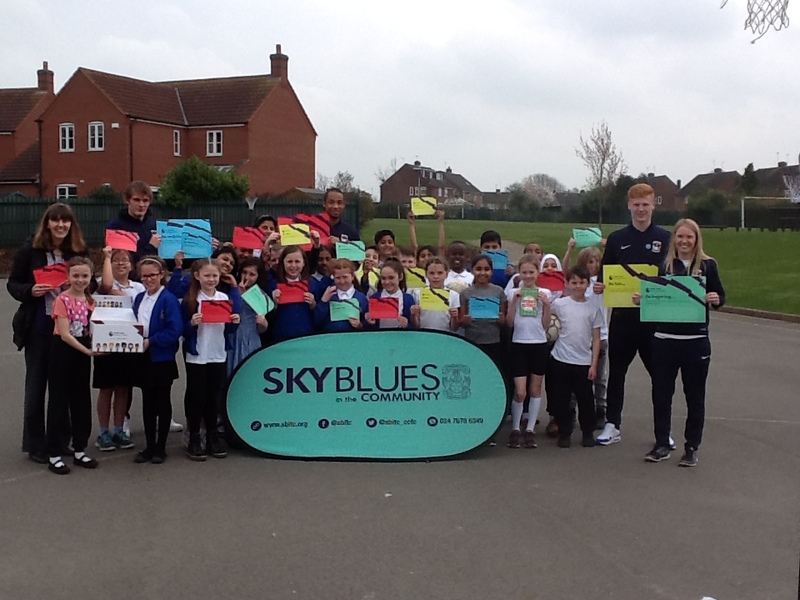 Year 5 were lucky enough to have a visit from three Coventry City football players as a reward for good attendance and good attitudes to learning. The players talked to the children about how they started playing football and the importance of training hard and working as a team. They signed bookmarks from the Primary Stars football reading scheme. Before they left, they gave the children a real treat by playing a bit of football with the children… Dany (Yr 5) said that it was the best day of his life!